Make films with music and special effects using Movavi Video Suite! 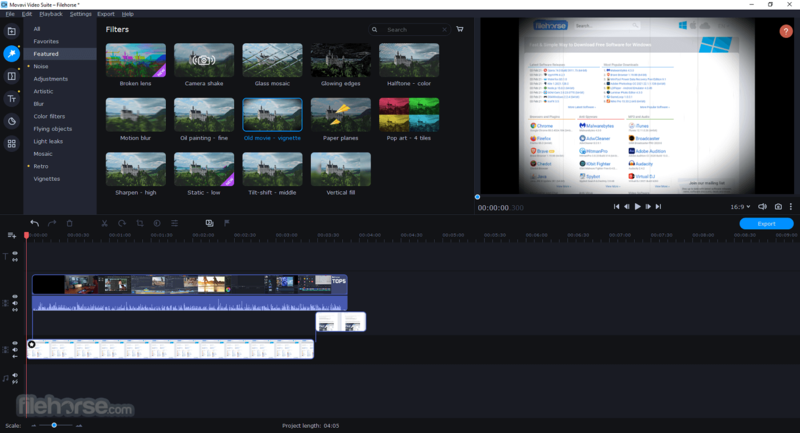 Movavi Video Suite is comprehensive video making software for Windows PC that helps you create professional-looking movies and slideshows on your home computer – even if you have no experience. Incorporate music, create text captions, apply visual effects and transitions – you can do whatever you want with your video. 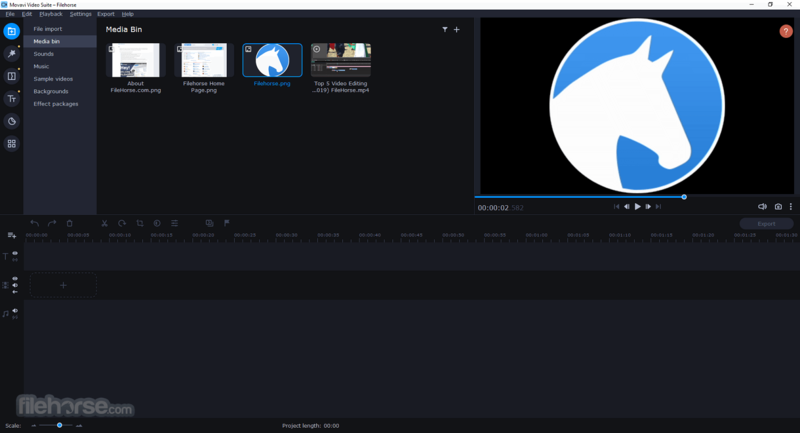 In addition to the video making app, Movavi Video Suite contains a number of useful apps to help every video maker: powerful video converter that supports 180+ media formats, convenient utility for burning DVDs, a special tool for digitizing analog video, and more. 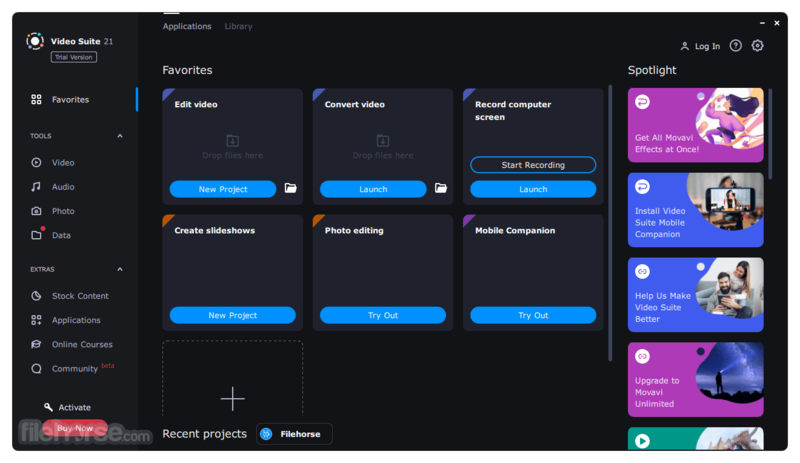 Making video with Movavi is easy and fun! So, let’s get started! Records all your screen activity at the best quality possible: your use of applications, streaming video and audio, and much more. 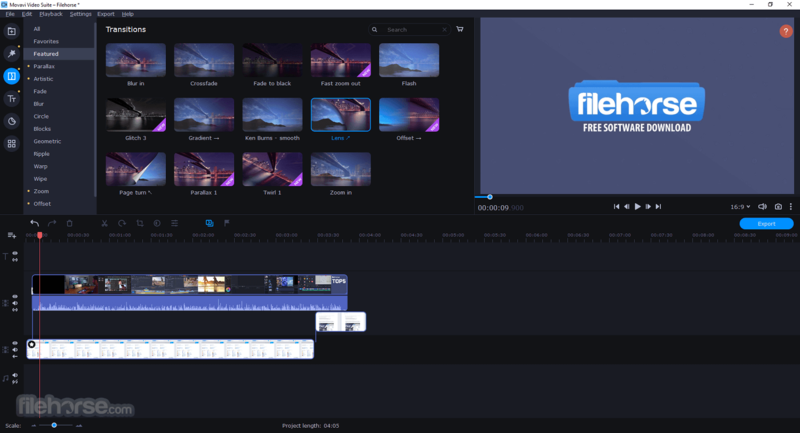 Make a movie from video or audio clips already stored on your computer, mobile device, or camera. Capture video from a screen and make a video tutorial. Create a slideshow from photos or pictures. Record yourself on a webcam to create a unique entry for your blog. Improve Video Quality - stabilize shaky video, tweak color settings, sharpen blurry video, and much more. 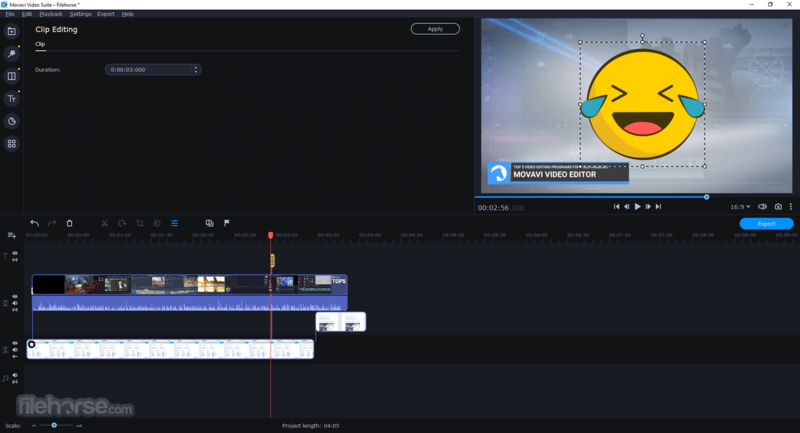 Cut and Join - cut out unnecessary fragments or join individual clips to make one longer movie.Let Your Story Flow Smoothly - link the different segments of your video with stylish transitions. Supports more than 180 video, audio, and image formats, changes the file format as quickly as copying it from one folder to another. Download Movavi Video Suite today! Add background music and sound effects in almost any format. Choose from the ready-made audio tracks included with the program. Record your own voice-over using your microphone. Vary audio volume and playback speed. Choose from over 100 fonts. Add excitement with animated text. Create colorful text backgrounds and much more. Upload your movie to YouTube or Facebook directly from the program. Save it in any popular video or audio format and watch it on your computer. Use our handy mobile presets to watch your movie on your smartphone, tablet, or other mobile device. Record video on CD, DVD, or Blu-ray. Note: 7 days trial version. Limited functionality in demo version.